A decade earlier, Scheuermann was diagnosed with spinocerebellar degeneration, a progressive disease that confined her to a wheelchair, paralyzed from the neck down. At age 53, she volunteered for a study through the University of Pittsburgh that would allow her to operate a prosthetic arm using only her mind. She underwent surgery to have two nodes implanted on the surface of her brain, which would read the neurons’ activity when she thought about moving her shoulder and her wrist. After a few weeks of retraining her brain, the researchers hooked up some wires that linked the nodes on the top of her head to a prosthetic arm that sat on a cart beside her. She practiced grabbing objects and moving them with different turns of the prosthetic wrist. Then researchers decided she was ready to go bigger. “When they asked me for a goal, I was being facetious and going for a laugh when I replied that I would like to feed myself chocolate,” she says. “Instead of laughing, the scientists looked at each other and nodded and said, ‘Yeah, we should be able to do that.’” After a few weeks of training, she put the chocolate in her mouth, then whisked the prosthetic arm away quickly, closed her eyes and enjoyed the bite. Scheuermann was moving objects for the first time in a decade—a real science and technology miracle. But there was still one thing missing: The prosthetic didn’t give her back the ability to feel. Mind-operated prosthetics, or neuroprosthetics, are at the cusp of how neuroscientists can manipulate our sense of touch. But giving Scheuermann the ability to feed herself is only part of the challenge—researchers are also trying to bring sensory information back to the user. “Right now, the feedback is the vanguard; it’s much further behind than the motor [movement] part,” says Daniel Goldreich, a professor of neuroscience at McMaster University in Hamilton, Ontario. Decades of research have given scientists a good understanding of the pathways that transmit input from the outside world to our brains—as long as we smell, hear or taste that information. But not if it comes through touch. “I think touch is one of the most poorly studied senses,” says Alison Barth, a professor of biology at Carnegie Mellon University in Pittsburgh. Though touch can have a lot of emotional significance, she says, it tends to be less important than sight and sound in terms of day-to-day communication, which is why it may not have been studied as thoroughly in the past. Plus, our sense of touch is always on, so we tend to take it for granted. 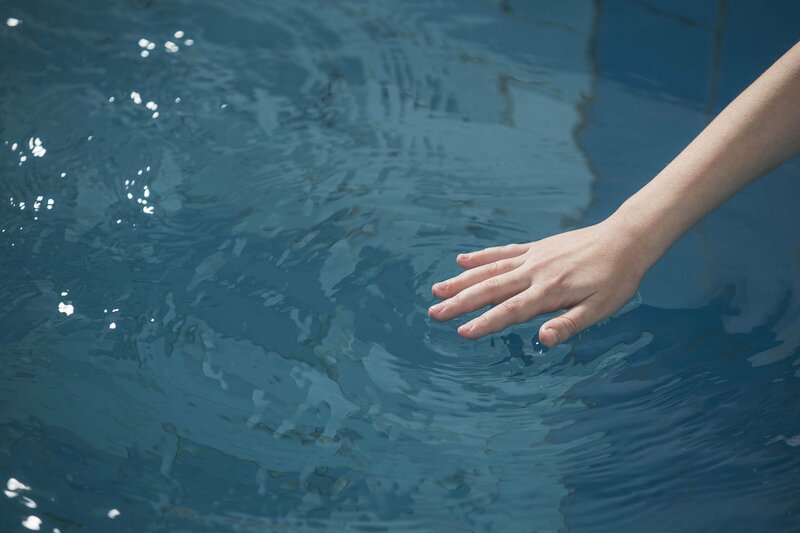 Here’s what we do know about how somatosensory signals, or “touch information,” reach the brain: When I reach out to pick up a glass of water, the nerves that start in my palm and fingertips transmit this specific sensory information as electrical signals up the long chains of nerve cells, one-fifth the width of a hair but several feet long, through my arm to my spinal cord. From there, the signal is transmitted to the brain, where it’s decoded to create a complete picture of what I’m touching. Each specific attribute, like temperature, texture, shape or hardness, has its own nerve pathway in this transmission process from fingertip to brain. “You have all these different flavors of touch receptors that are all mixed together like multicolored jellybeans, but the information is totally discrete—you don’t confuse cold with pressure,” Barth says. She estimates that the skin is laced with around 20 different types of tactile nerves for all these different sensations. But researchers aren’t sure how our brain gets such a clear picture of an object like that water glass. “We don’t know how the brain decodes this pattern of electrical impulses,” says Goldreich. That’s true for the sense of touch, he says, and also for how all of our senses combine; when I see an iPhone sitting on a desk, I can imagine what it would be like to hold in my hand, what the “unlock” sound is like, how it feels to hold it up to the side of my face. Though decades of research have helped scientists figure out the parts of the brain involved, they haven’t been able to quite nail down how the information is compiled. Barth’s team recently published a paper in the research journal Cell looking more closely at the neurons in a particularly deep part of the brain called the thalamus, which we know plays a key role in transmitting sensory signals. They wanted to zero in on the exact neurons involved in a particular sensation, so they stimulated a mouse’s whiskers, which are so sensitive that they are thought to be analogous to human fingers. To see the signal in the thalamus, Barth and her team mutated a gene that makes neurons fluoresce when they fire frequently, and cut a literal window in the mouse’s skull so they could watch the brain cells light up. When the researchers blew puffs of air at just one whisker, they saw neurons light up in two different parts of the thalamus before relaying their signal up to the cortex, the part of the brain responsible for memory and conscious thought. When they stimulated several whiskers at once, the signal was the same for the neurons in one part of the thalamus but different in another. To Barth, that meant information from the same part of the body—in this case, the whiskers—was transmitted differently to the cortex, depending on if one or many were stimulated. This hinted at the “neural underpinnings” of how touch works in the thalamus. Though the researchers couldn’t see all of it, there was clearly a pattern to how the neurons activated, illuminating a subsystem of neural pathways that researchers had never before detected. Work like Barth’s is bringing neuroscientists closer to understanding touch in the brain, which has many implications. Researchers predict a dramatic change in the design of smartphones, for example. Phones already give you some somatosensory feedback, like vibrating when you receive a text or buzzing when you press a button. But phones could do a lot more to tap into our sense of touch. “The thing I hate about my smartphone is I can’t do anything without looking at it,” Barth says. She anticipates that phone interfaces could change textures over important buttons to show users where to click, which could also help the blind use touchscreens. Goldreich predicts that screens will be able to go even further; by manipulating the electrical input, scientists could make video calls a multi-sensory experience, where touching the computer screen feels like touching the person’s face or hand. “That would require us to understand and come up with ways to activate those sensors in your hand, but we’re actually pretty close to doing that,” Goldreich says. “The dream of that sort of research is to try to give someone vision through another sensory system,” Goldreich says. It’s a world that may soon become a reality: Some of these applications, like textured touch screens and sensory substitution devices, might become available in the next decade or two, he says. And, of course, one of the most important applications of an improved science of touch is the potential for better neuroprosthetics. 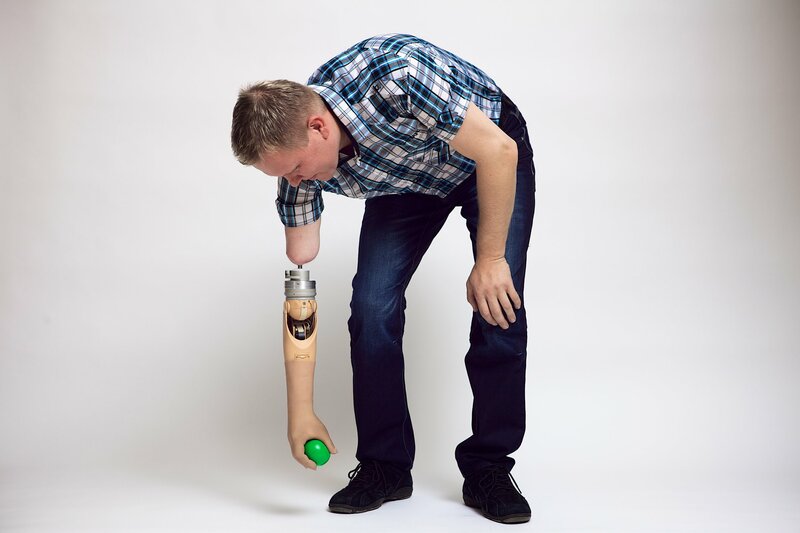 Andrew Schwartz, a professor of neurobiology at the University of Pittsburgh, leads a team that recently designed a prosthetic arm that can bring very basic sensory feedback to its user. Its hand has sensors that generate small jolts of electricity to stimulate the same neural pathways that would activate with input from a typical human hand. But because neuroscientists are still figuring out just how much electricity the nerves send to the brain for different sensations, the design’s feedback is still “crude” at best. “We don’t understand the code or the level for how crude electrical activation gets changed into neural activation,” Schwartz says. Without that understanding, the feedback will continue to be rudimentary, unable to incorporate the constantly changing information of a moving hand. But little by little, the feedback is becoming more sophisticated; thanks to research like Barth’s, Schwartz and his team have a better understanding of which neurons in particular respond to a stimulus and when they start responding, which could help them mathematically compute just how much electricity the nerves bring to the brain.